Two piece baby gift set. Set includes hat and booties. 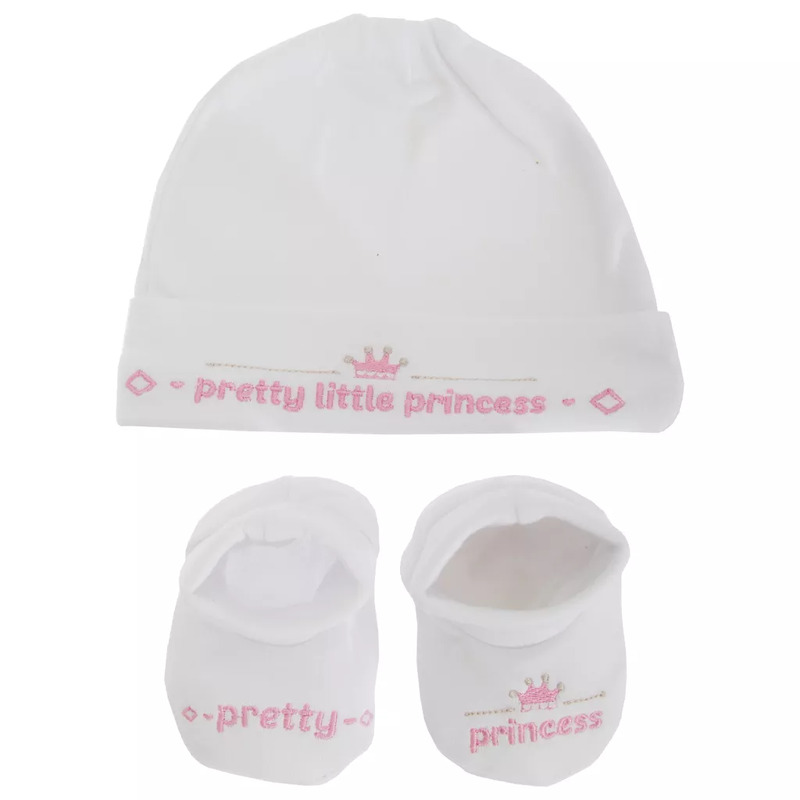 Choice of Pretty Little Princess or Handsome Little Prince designs.